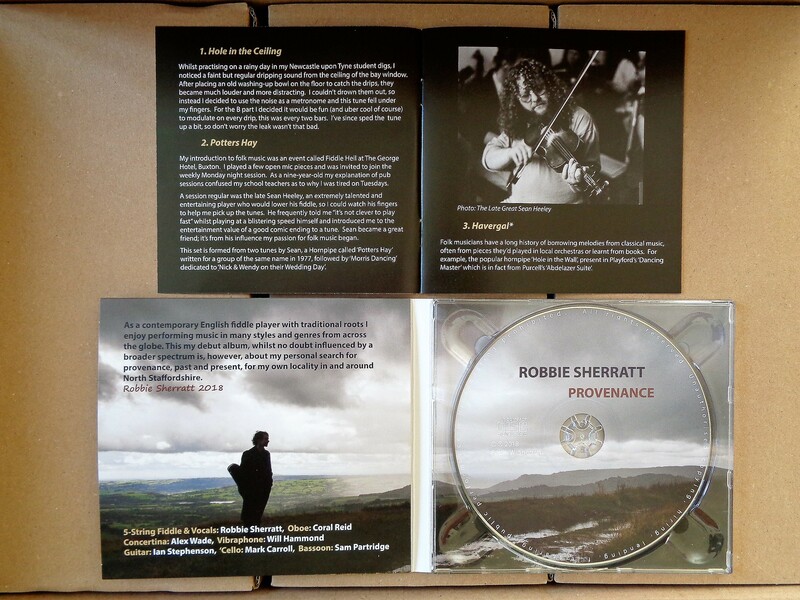 I was recently kindly contacted by James Tugwell from British Library Sound Archive enquiring about entering my album ‘Provenance’ into the National Collection. It fills me with pride to send a copy off to what is for me such an important resource. Thanks also to Wil Walker for the wonderful introduction and playing of track 5 ‘The Staffordshire Hornpipe’ from my album on Exile FM. Click here to go to the podcast. Currently, I’m working on editing and arranging a selection of folk songs for community choir, mixed voices. They’ll be available for no charge from my website. Included so far are: Bonny at Morn, Young Banker, The Female Highwayman, and Freshwater Bay. So if you’re interested in singing these with your choir, send me a message via the contact form and I’ll email them to you when they’re ready! I thought I’d also share with you a clip from the Folklandia Festival Afterparty which I performed with at in SibA Folk Big Band. The gig was superb and great fun – the audiences’ dancing made it for me! Had a great gig supporting the Rheingans Sisters at Floodgate Ale House, in Stafford. Whilst back in Staffordshire I had the unexpected pleasure of a couple of performances with Brennan & Buchanan on double bass and fiddle. 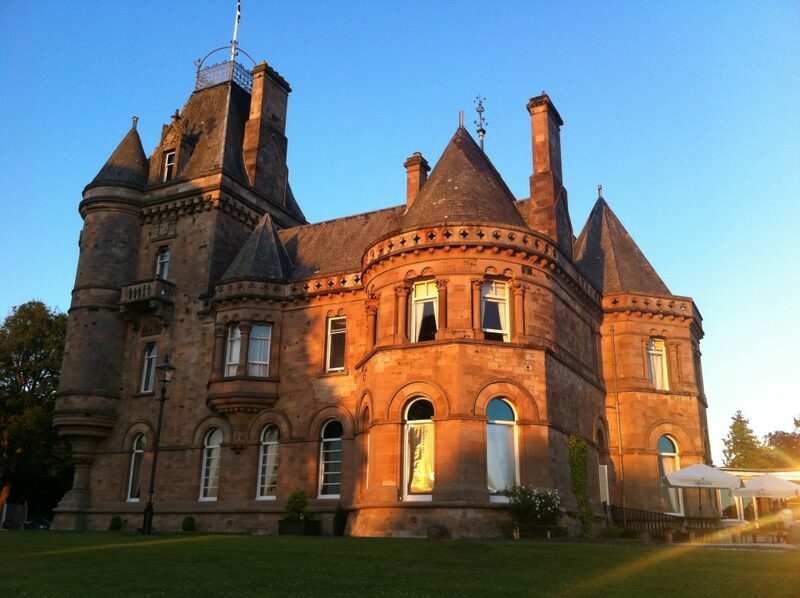 Now back in the North East I played at a wonderful bluegrass gig depping with Assembly Lane, and jamming on the train back from Hexham as well as playing a ceilidh and pop set with Elliot & The Rush Hour for a wedding in Cornhill Castle (pictured below). To kick off the release I’ll be playing some of the album with Michael Biggins around noon, 6th July! Tomorrow I’ll be a guest on Genevieve Tudor’s Sunday Folk on BBC Radio Shropshire live 6-8pm. You will also be able to listen to it after on iPlayer. On Monday I’ll be supporting the fabulous Rheingans Sisters at the Floodgate, Stafford. I’m really forward to this gig as I haven’t had chance yet to see them live. Here’s the latest samples of Provenance! Pre-orders available below or on the shop page. 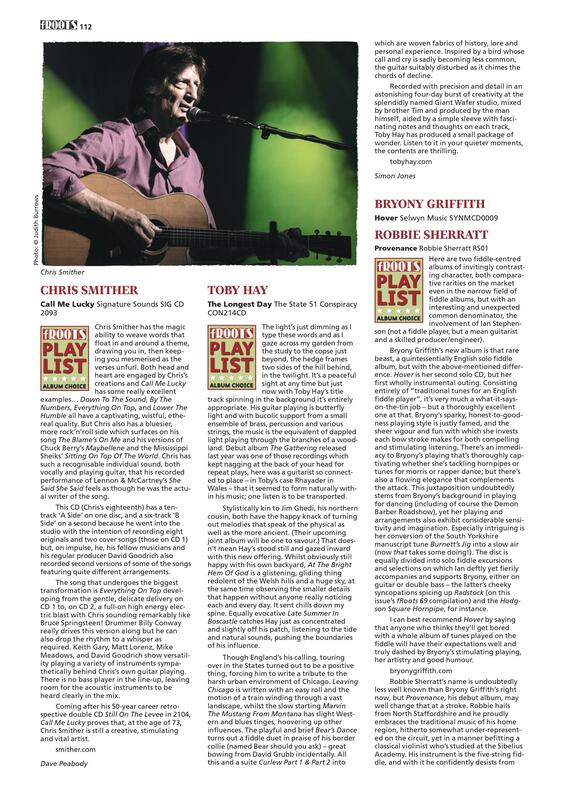 The summer edition of fROOTS is out and includes a great review from David Kidman of ‘Provenance’ thoughtfully contrasted with Briony Griffiths’ new album ‘Hover’. Thanks to David and all at fROOTS, it’s really appreciated. 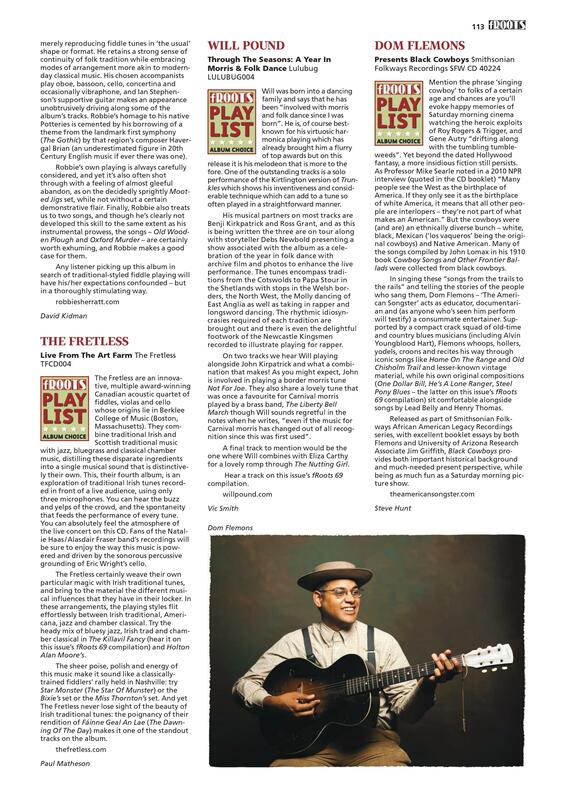 Please read the full review, from the pdf link at the bottom of this post, or better still consider purchasing a copy of the fROOTS magazine. Worldwide pre-orders of ‘Provenance’ are available online from my shop page, via PayPal or by credit or debit card payment secured by PayPal. For a larger image; view as pdf by clicking on the link below. The latest samples of ‘Provenance’ are up on SoundCloud featuring the mighty Sam Partridge on Bassoon. More exciting news – I’ve been accepted on the Folk masters programme at Sibelius Academy, Finland, where I can’t wait to continue my studies, after having a wonderful time there on Erasmus 2016-2017! I’ve been enjoying the last couple of days at Emma Bridgewater Factory for Festival in a Factory playing around the site and welcoming audiences to their seats before the speakers. As I’ve only just got back to North Staffordshire playing in a pottery factory seemed like an apt return gig. 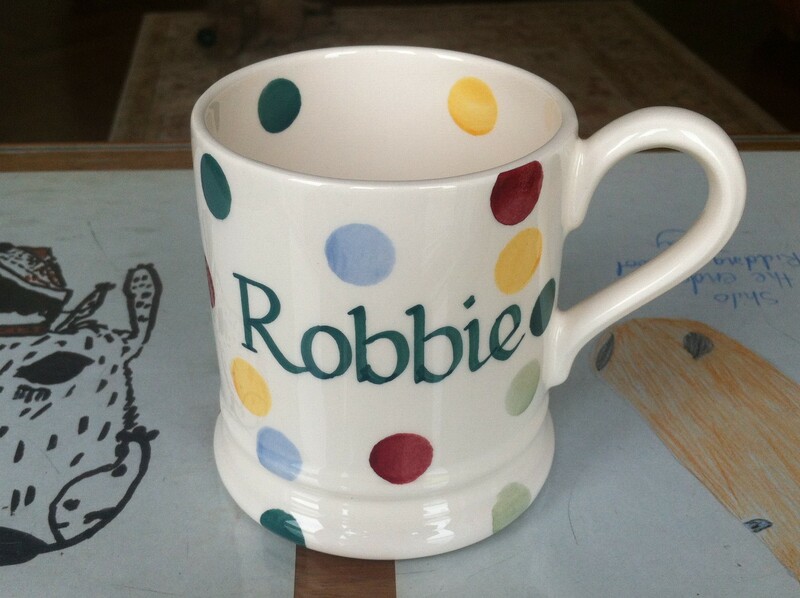 They also generously gave me my own personalised mug! My Final Concert on Thursday 31st May concluded my studies at Newcastle University. The performance went swimmingly all thanks to my wonderful friends, Hannah Lord, Niles Krieger, & Sam Partridge for playing so well and my supportive tutor Peter Tickell helping me put together and prepare for a recital I’m really proud of. To celebrate, I’ve made physical copies of my debut album ‘Provenance’ available for pre-order and have started uploading samples weekly to my SoundCloud in the run up to the 6th July, when the album will be released. Those who made it along to Hexham Gathering and/or The Sage on Thursday may recognise the first track, Hole in the Ceiling. The album in CD format is priced at £12 with free worldwide postage and is available via the button below. 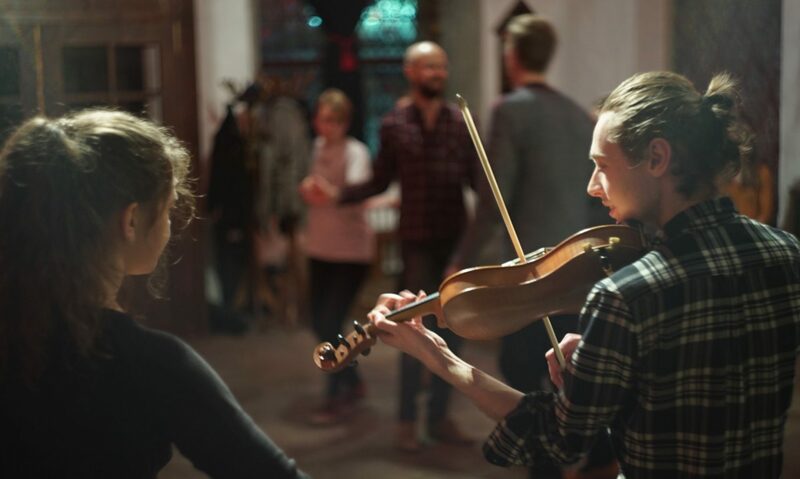 Today I write from St Pancras Station, you see yesterday I had the pleasure of listening to Sámi musician Hildá Länsman and Helsinki-based sound designer and music man Tuomas Norvio. It was wonderful and I’m now full of fresh ideas! In other news, ‘Provenance’, although not yet released, is doing great, being played regularly on Genevieve Tudor’s Sunday Folk as well as Moorlands Radio and fRoots Radio; I feel very lucky for my music to be appreciated and shared. You can also read the first review of ‘Provenance’ by clicking on folking.com. Another is also in the works at fRoots magazine. Starting next week I’m going to release short samples of each track from the album every Friday, until the release date of July 6th. So keep your eyes peeled if you’d like to hear it pre-release snippets. 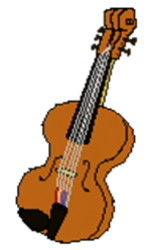 On Saturday 26th, 12:10, I’ll be playing on the bandstand at Hexham Gathering with Hannah Lord and on Wednesday 31st May, 19:00, I have my final recital at the Sage Hall 2, both are free and the more there the merrier. The recital at the Sage is ticketed so to avoid disappointment I recommend getting your free ticket from here in advance. Also, here’s a bit of a mazurka I’ll be playing in my recital next Wednesday, composed by Edward Elgar: featuring Niles Krieger & Sam Partridge. Well since my last blog, back in September, I’ve continued playing sessions and gigging in and around Newcastle with Chester and The Fog and subbed with The Cajun Specials at Yorkshire Cajun & Zydeco Music & Dance Festival and The Kentucky Cow Tippers at a wonderful wedding in Otterburn. I also played a bit of fiddle on Jez Lowe’s rendition of ‘Byker Hill’ for his new album ‘The Dillen Doll’, which accompanies his novel of the same name. 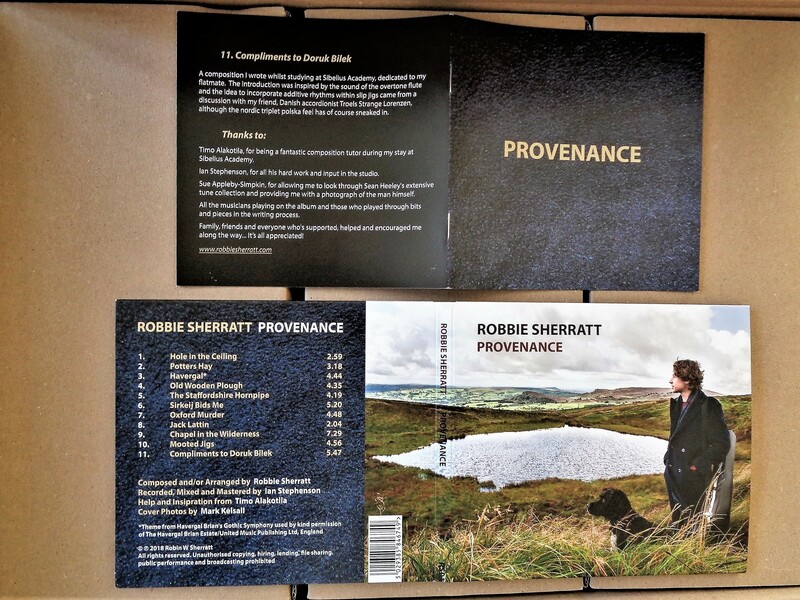 The most exciting news for me though is the completion of my debut album Provenance. I’m elated by the results and all is ready for official release on Friday 6 July 2018! More details are available on the page Provenance plus here are some photos of the first CD opened.